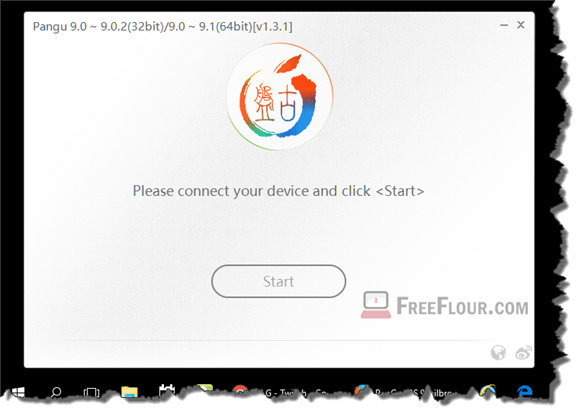 Download Pangu iOS 9.1 Jailbreak for Windows 10/8/7 Mac. Pangu9 supports iPhone 6s,6s plus,6,6plus,5s,iPad Air 2,iPad mini 4,3,2, iPad Pro. After so many months of jailbreak attempt since the very last jailbroken iOS 9.0.2, the Pangu team has finally released a public version of Pangu Jailbreak for iOS 9.1 users. Here in this post, we will be explaining about which device running iOS 9.1 can be jailbroken by using this Pangu Jailbreak, how if you are not using iOS 9.1 but later iOS such as iOS 9.2.1 or iOS 9.3, as well as the Pangu iOS 9.1 Jailbreak download links for both Windows 1.3.0 and Mac 1.1.0 version. Before you go further ahead and attempt to jailbreak your device, please read this very carefully as doing this wrongly will possibly brick your iPhone or iPad. Pangu iOS 9.1 has clearly stated and warned users that this particular jailbreak will support only 64 bit iOS devices, which means any iOS device below iPhone 5s (which are not 64 bit) will not be supported. To be precise, Pangu iOS 9.1 Jailbreak supports iPhone 6s, iPhone 6s Plus, iPhone 6, iPhone 6 Plus, iPhone 5s, iPad Air 2, iPad Air, iPad mini 4, iPad mini 3, iPad mini 2, iPad Pro and iPod Touch 6. Devices that are not supported (as of now): iPhone 5c, iPhone 5, iPhone 4s, iPad 3, 2, 1, iPad Mini 1, iPod Touch 5 and below. That would be a very bad news for you as Apple has already stopped signing for iOS 9.1 long ago which means downgrading from iOS 9.3 or iOS 9.2.1 to iOS 9.1 is no longer possible. We have already urged users to downgrade to iOS 9.1 back then when Apple is still signing for iOS 9.1 with the purpose to be ready for perhaps something like the Pangu Jailbreak today that supports only iOS 9.1. There is no way you can jailbreak iOS 9.2.1, 9.2 or iOS 9.3 as of now before a new jailbreak releases. The reason why only iOS 9.1 can be jailbroken now is that Pangu9 V1.3.0 used a kernel bug to exploit iOS 9.1, and the bug is patched in iOS 9.2. Until a jailbreak team find a new bug in iOS 9.2 or later, jailbreak for iOS 9.2.1, 9.2 or iOS 9.3 is not possible as of now. If you have the right device and running the right iOS version (iOS 9.1), we would like to congratulate you for your patience in sticking with iOS 9.1 for so long without upgrading. The reward is that you can now jailbreak your iOS device! Download (link removed due to expired download) Pangu9 iOS 9.1 Jailbreak for Windows Version 1.3.0. Download Pangu9 iOS 9.1 Jailbreak for Mac. We have also written a complete step-by-step guide on how to jailbreak iOS 9.1 untethered for Windows or Mac using Pangu9 iOS 9.1 jailbreak tool. Update 1: Pangu9 iOS 9.1 Jailbreak has just been updated to version 1.3.1. Download only the new version to jailbreak your device. Download link can be found in Pangu9 homepage.